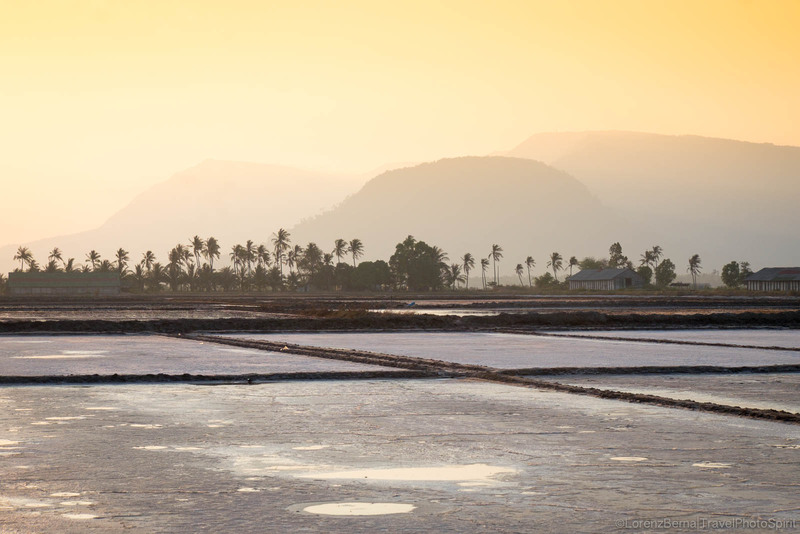 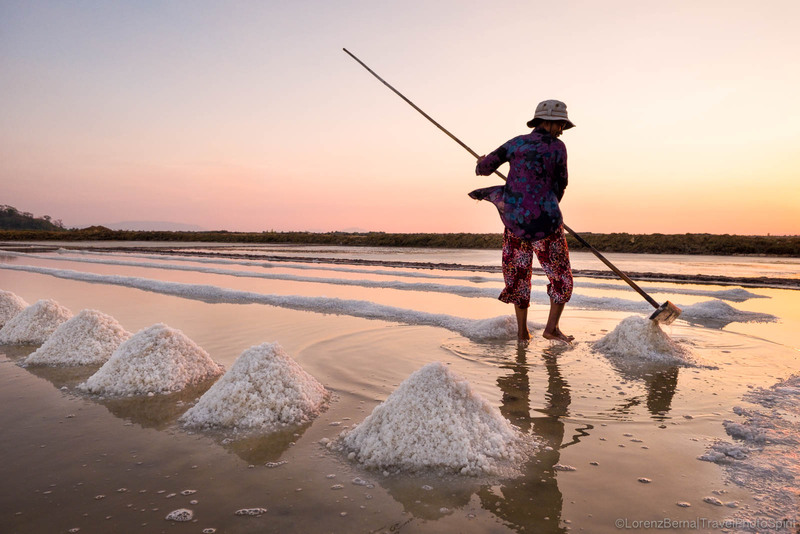 At some 17 kms from the sea, Kampot town is surrounded by wide salt fields which are a real photographic must to see. 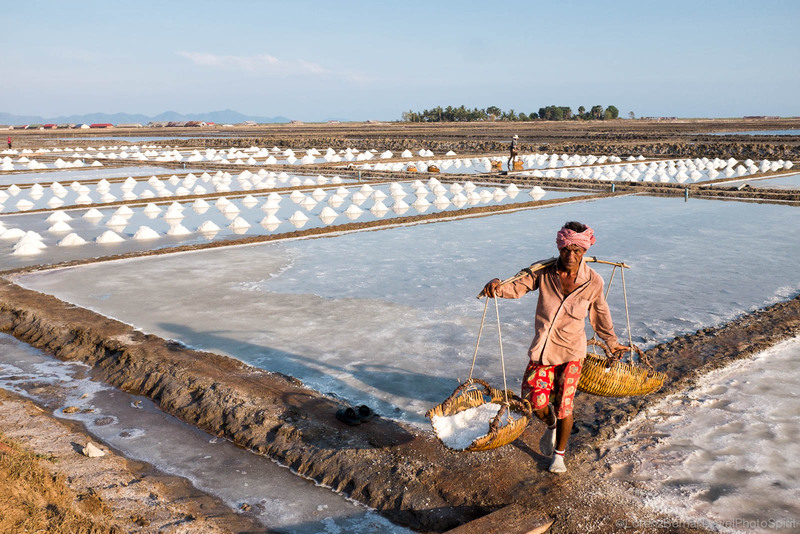 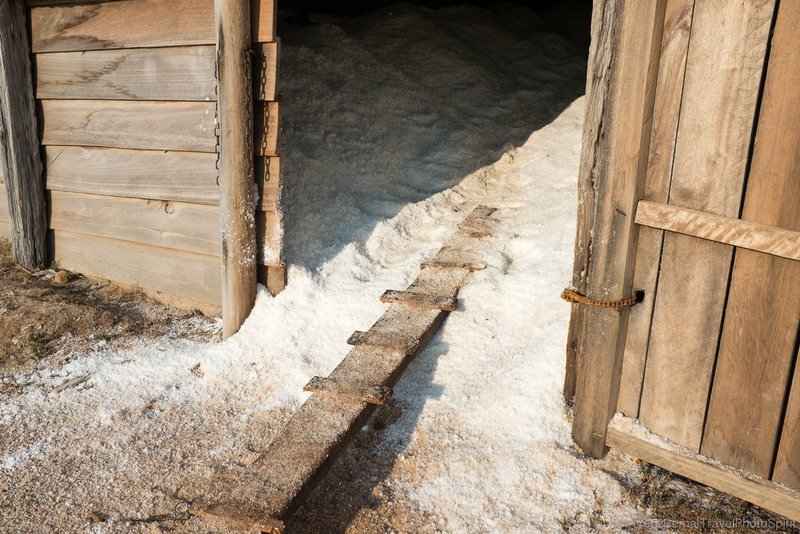 The best period to go there is during the dry season when the workers collect the salt. 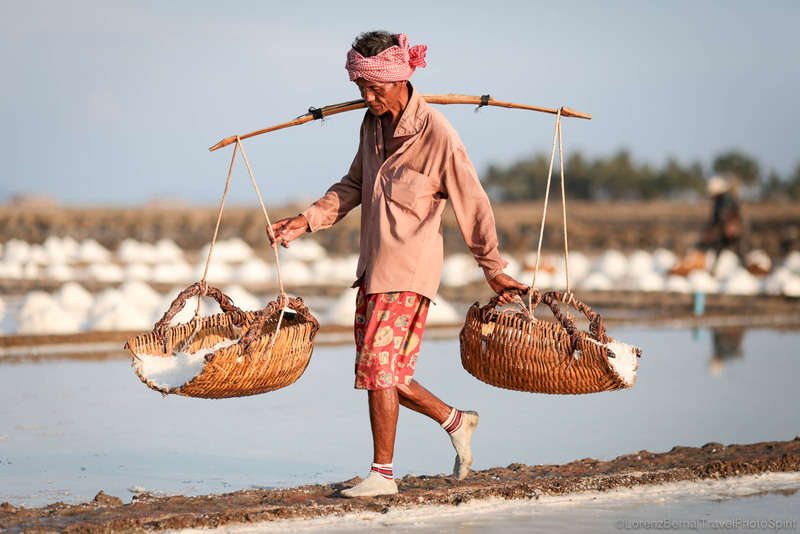 Worker carrying salt back to the warehouse. 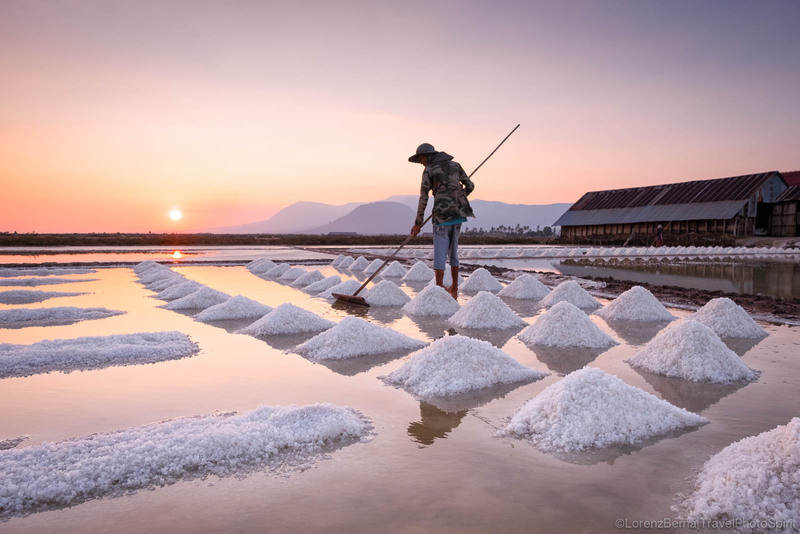 The salt fields at twilight. 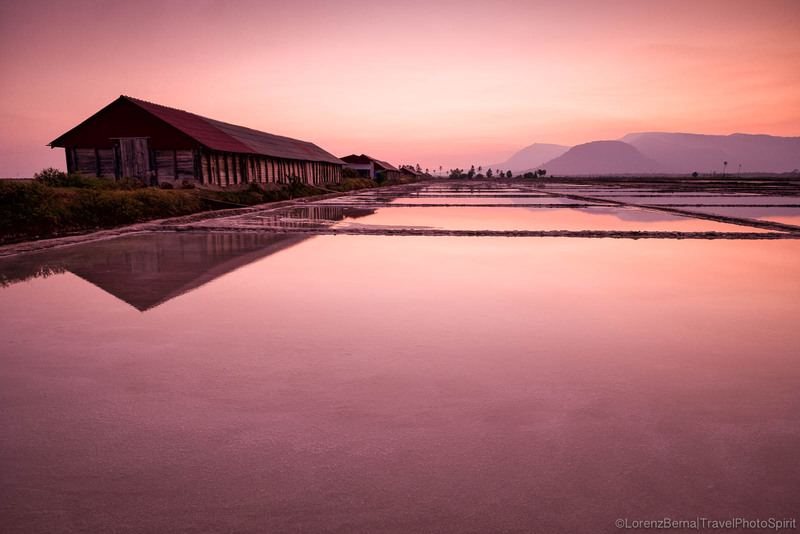 Sunset lights over the fields with the Bokor mountains in background. 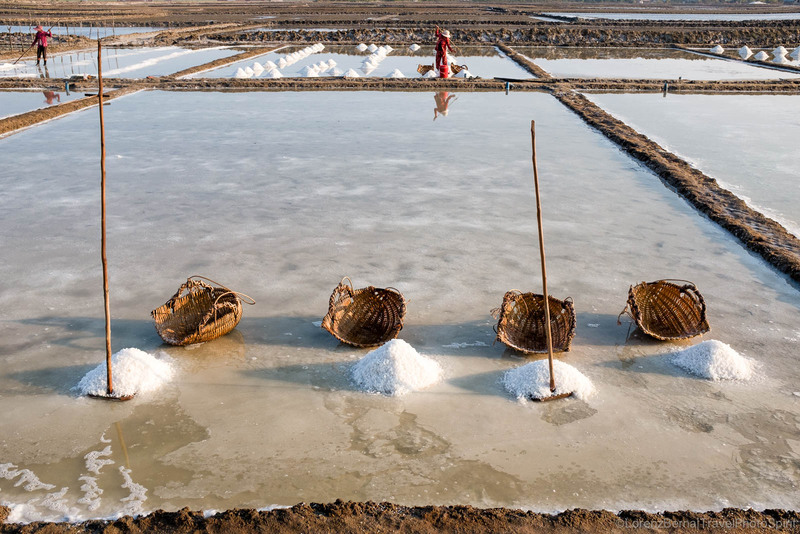 Workers' children cycling around after school.